2. 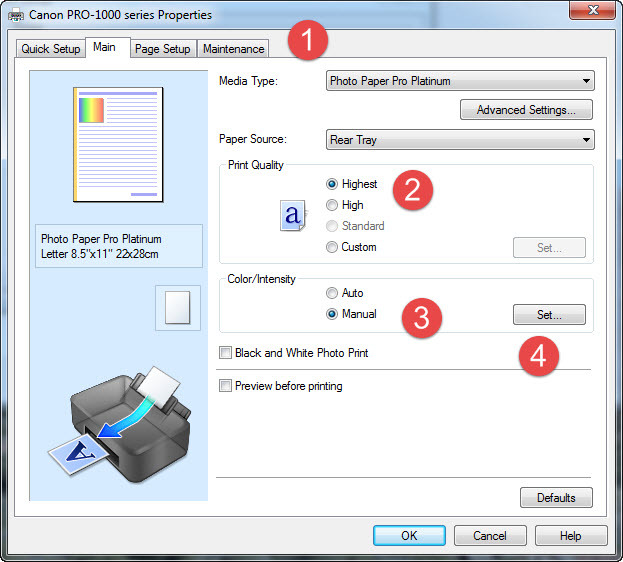 Choose the profile for your printer / paper combination from the Printer Profile drop down menu. If you need help installing profiles, click here for instructions. 3. Intent - We recommend Relative Colorimetric rendering intent. Learn more about rendering intent here. 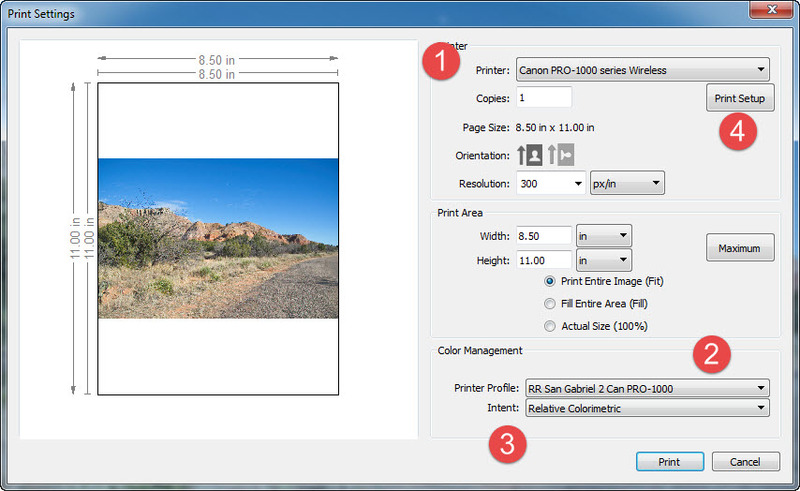 After clicking the Print Setup button, your printer's property window will appear. 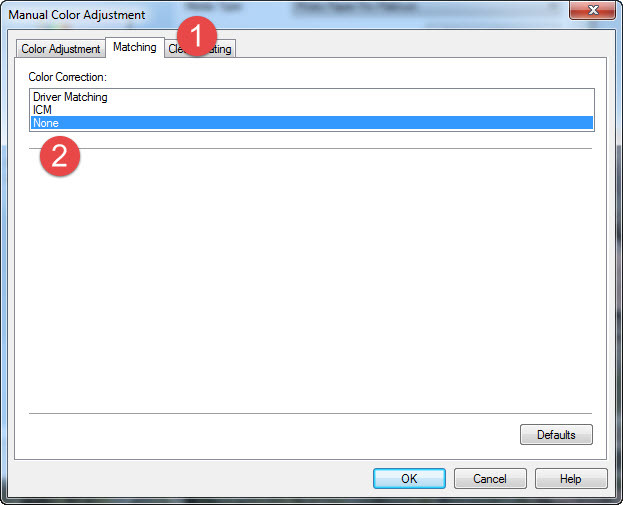 The Manual Color Adjustment dialog will appear. Click OK to return to the printer properties. 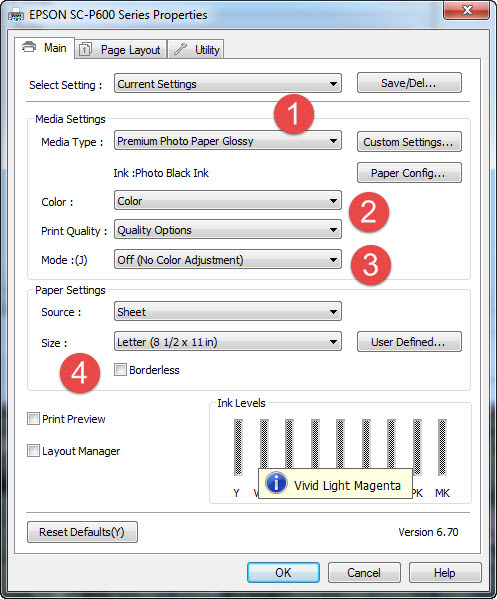 Once satisfied with all settings, click OK to return to the ON1 print dialog. Verify these settings again and then click Print. 4. Choose your paper size. 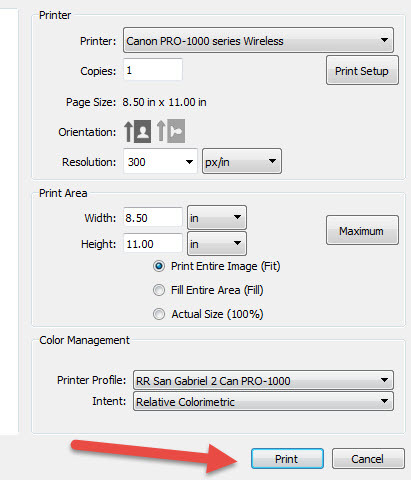 Verify your settings and click OK to return to the ON1 print dialog.